Fancy a Rose Gold iPhone 6S? A new leaked photo suggests that the iPhone 6S and iPhone 6S Plus, which are widely expected to be revealed by Apple on Wednesday, will come in a new colour that will be familiar to owners of the Apple Watch: Rose Gold. The image appears to be of rather tattered promotional material (allegedly the box design for the new iPhone) was posted by TechTastic. Although we can't confirm the source or authenticity of the image, the rumours of a new colour do line up with what we've heard before. As you can see from the image, the iPhone 6S will apparently come in a colour similar to the Rose Gold variant of the Apple Watch. TechTastic claims that apart from the new colour, the iPhone 6S and iPhone 6S Plus won't look that different to the iPhone 6 and iPhone 6 Plus, with most of the changes happening on the inside. 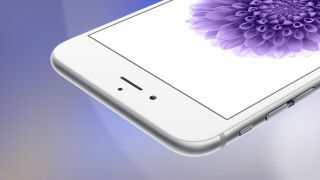 However the website again mentions rumours of Apple using the stronger 7000-series aluminium material that's found in the Apple Watch Sport to create the body of the iPhone 6S and iPhone 6S Plus. This material is 60% stronger than the standard aluminium the previous iPhones used, yet it doesn't weigh any more. TechTastic also posted the European prices of the iPhone 6S and iPhone 6S Plus, though it did not mention where it had got this information from, so we'd take this with a large pinch of salt. According to the site the iPhone 6S will come in 16GB, 64GB and 128GB versions with prices of €699 (around £509, $782, $1121), €799 (around £582, $894, AU$1282) and €899 (around £655, $1005, AU$1443) respectively. Meanwhile the iPhone 6S Plus will also come in 16GB, 64GB and 128GB capacities, and will cost €799, €899 and €999 (around £728, $1117, AU$1602). Those prices match the current cost of the iPhone 6 and 6 Plus. It's not long now until we find out what Apple has planned, and we should find out how accurate these latest rumours are.